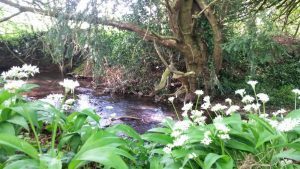 We are lucky to be situated in a beautiful part of the country, with a wealth of things to do and places to visit right on our doorstep. We’ve provided useful information on this page, plus links to other resources. Please click here or on the image to download a printable map of the local area. We recommend the Destination Bristol service for a wealth of information about local attractions. Please ask in reception as we have many books, magazines & educational leaflets covering a variety of wildlife, nature & sustainable method subjects for you to read during your stay with us. 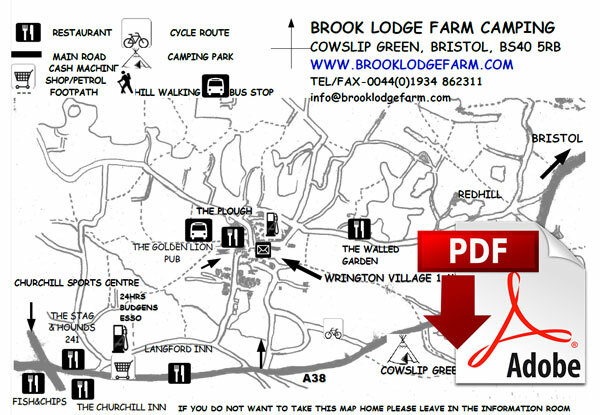 Brook Lodge Farm Camping & Caravan Park has a 12 acre nature conservation area in the Area of Natural Beauty bordering Blagdon Lake which you are welcome to visit on prior arrangement to be able to enjoy this beautiful unspoilt habitat which maintains some of the best wildfoul and birds of prey known in the South West.